Analytical frameworks come either from “theoretical” knowledge around the different functions of business management, such as the four P of the marketing mix, or from industry-specific expertise, such as the ARPU (average revenue per user) in telecom. They can be used as prepackaged, MECE breakdowns of typical business problems. As such, they provide invaluable shortcuts to build a hypothesis pyramid or an issue tree. As they rely on tested theory or practice, they help make the problem structuring more effective, more relevant, and more systematic. However, all frameworks have underlying assumptions that limit their relevance to some particular categories of problems and contexts. Therefore, selecting the right frameworks is crucial. 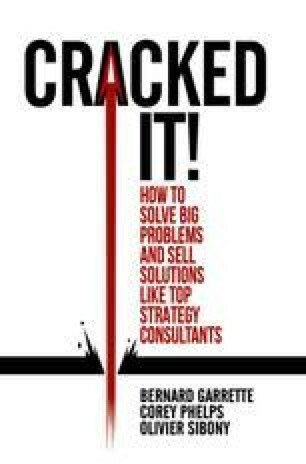 The chapter ends up with a list of functional frameworks that constitute every problem solver’s basic toolkit.